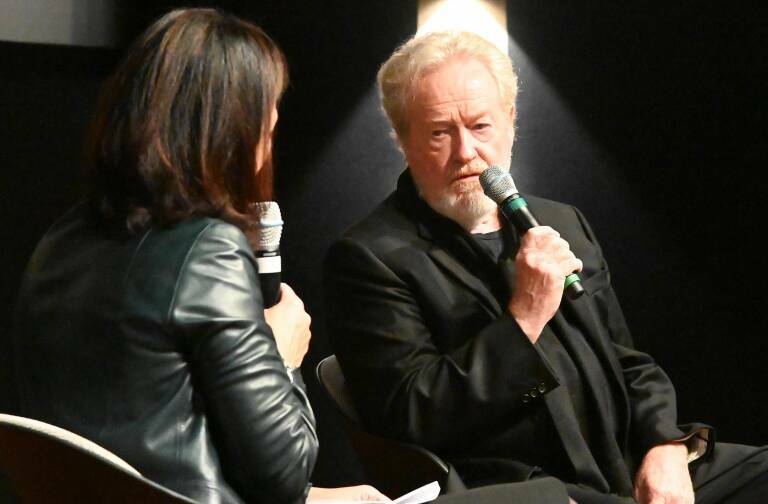 Bulgari showcased two new watches at Baselworld, the Octo Finissimo for men and a new interpretation of the Serpenti for women. The first boasts an ultra-thin design while the second features straps in vivid shades of Karung snakeskin for a personalized look. The snake motif that graces each new creation in the iconic Serpenti collection pays tribute to Bulgari’s Roman heritage and to the Greek roots of its founder. Bridging classicism and modernity, the new Serpenti explores a new expressive realm with personalized colors and for the first time leather straps. This contemporary take on the Serpenti is boldly versatile with a vast choice of cases and dials and straps, as well as gem settings and engraving on the caseback. 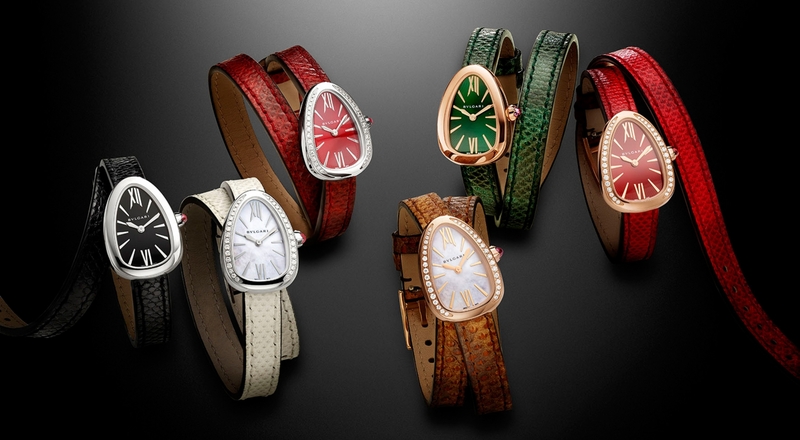 More than 300 variations are possible for a unique Serpenti watch. The new Serpenti is transformed in a heartbeat thanks to a practical fastening system that makes straps interchangeable. 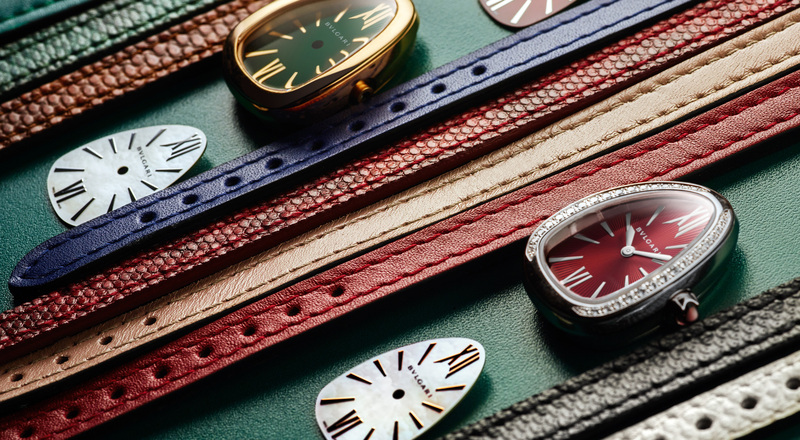 Each timepiece comes with two straps, one in thin and supple Karung snakeskin, the other in calfskin, in the colors of the customer’s choice. The refined 27 mm lacquered or guilloché case is personalized down to the least detail, with four color variations – black, red, green or white. In a signature Bulgari touch, a cabochon-cut rubellite adorns the winding crown of the watches, which are equipped with a quartz Calibre B033. To let enthusiasts customize their new Serpenti – available from May in selected Bulgari stores – a special app composes their personal version from among the 300 possible combinations. 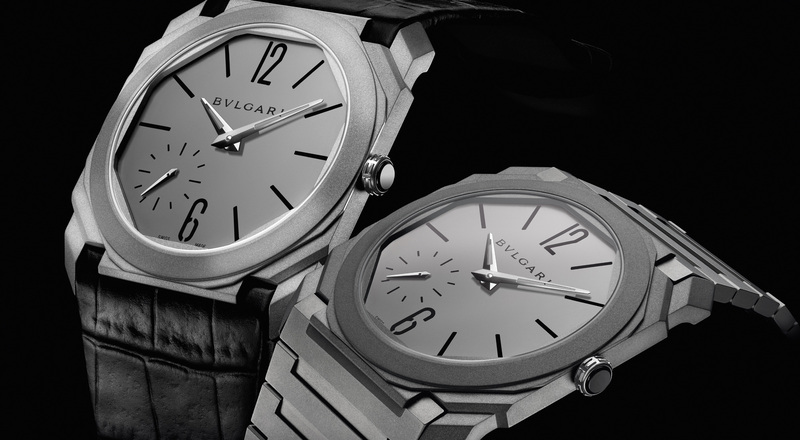 Also at Baselworld, Bulgari featured the five models in the Octo collection. Following the Tourbillon, presented in 2014, and the Minute Repeater unveiled in 2016, the Octo Finissimo has a total thickness of just 5.15 mm, making it the thinnest automatic watch in the market. There are two versions, one automatic, the other with a skeleton Tourbillon movement. The Octo Finissimo automatic has a 40 mm diameter case in sand-blasted titanium and is powered by the new in-house BVL 138 Finissimo calibre movement decorated with Côtes de Genève stripes. Enthusiasts can choose from a leather strap with a pin buckle or a titanium strap with perfectly articulated links. The Octo Finissimo Tourbillon Skeleton features transparency with an ultra-thin flying tourbillon, revealing an open-work movement with 253 components. It has a power reserve of 62 hours. The movement is set off by a striking platinum case.